The information here is based on Philip Elder’s article. I recreated the set of steps in this blog post to make it easier for me to find this information when needed. 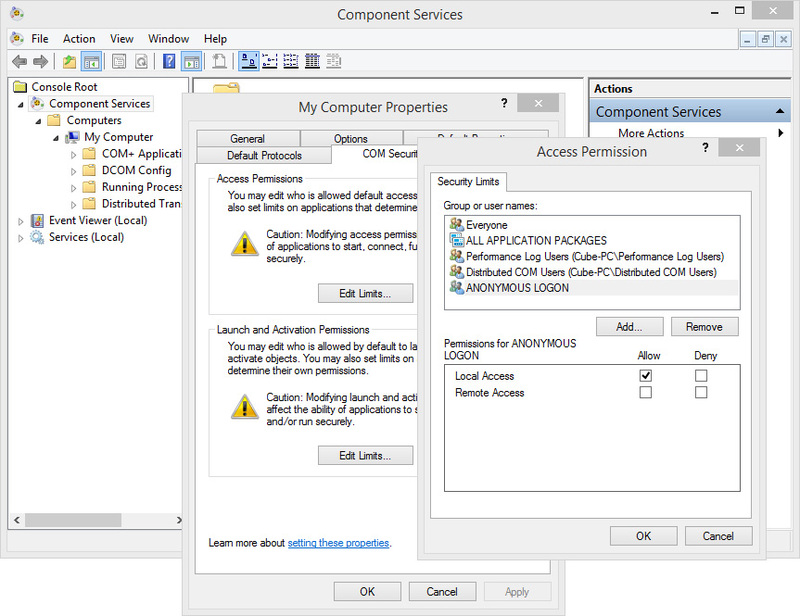 Posted on May 16, 2015, in Uncategorized and tagged Access Permissions, Component Services, Remote Access. Bookmark the permalink. Leave a comment.